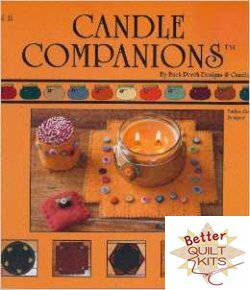 Candle Companions - Vol. II Booklet [ASIN: B005593F3K] - $6.99 : Better Quilt Kits, Helping you make Better Quilts! 14 page booklet with 11 Projects Designed by Marilyn Cash for Back Porch Designs & Candleworks.